In response to suggestions from our members, and in order to be proactive and create a safe, productive, and inspiring environment for our members, the AAGL Board of Directors recently created a Task Force on Anti-Harassment, Diversity, and Incident Reporting. This Task Force, with the assistance of the AAGL staff and outside expert consultants, has drafted several important policies which have been approved by the Board and will be implemented immediately. A summary of these policies are as follows. To view the complete policies in detail, please go to https://www.aagl.org/anti-harassment/ . 1) The Anti-Harassment Policy: It is the policy of the AAGL to provide an environment free from all forms of discrimination, harassment, and retaliation to its members, employees, and guests at all AAG L regional educational meetings or courses, the annual global congress (i.e. annual meeting), and AAGL-hosted social events (AAGL sponsored activities). The policy defines harassment, sexual harassment, and discrimination in clear terms. All AAGL members, guests, and industry partners are expected to abide by this policy during all AAGL sponsored activities. A Grievance Committee will be newly formed to investigate and adjudicate any complaints made under this policy. AAGL encourages reporting of all perceived incidents of harassment, discrimination, or retaliation. Three options have been put into place for such reporting, including email or phone call to the Executive Director, email to the Grievance Committee, and by phone to the AAGL 866 number during the AAGL Annual Global Congress (i.e. annual meeting) and regional educational meetings or courses. An investigation process and disciplinary actions have been codified, in which the Grievance Committee will perform an investigation of the complaint, will have the opportunity to seek input from appropriate legal counsel, and will make recommendations to the Board of Directors. Any adverse action will require approval of the AAGL Board of Directors, and may include warnings, reprimands, requirement for training, loss of a leadership position, or expulsion from the AAGL. In order to avoid bias, the identities of the parties involved will remain anonymous until the Board makes its recommendations. A process for appeal is also outlined. 2) The Inclusion and Diversity Policy makes it clear that the AAGL promotes an environment of respect, fairness, integrity, and inclusiveness in all its activities. 3) A Grievance Committee will be newly formed. The purpose of this committee is to receive and investigate complaints made under the AAGL Anti-Harassment Policy. 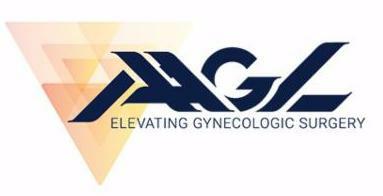 The AAGL Grievance Committee Policy addresses the formation, membership, qualifications, and conduct of this committee. In addition, each incoming leader of the AAGL, to include members of the Board of Directors, members of the Scientific Program Committee, and members of the FMIGS Board of Directors, will be required to undergo sensitivity training prior to initiating their responsibilities. The current Board of Directors will set the standard by undergoing this sensitivity training prior to the first in-person Board meeting this month. The AAGL will be the premier organization at the forefront of Anti-Harassment, Diversity, and Inclusion. Our policies and procedures set the stage for our membership to enjoy a safe, productive, and collaborative experience at all AAGL sponsored activities.